The entire line of Deluxe sandwiches was a complete disaster for McDonalds. This line included sandwiches that had been fancied up with mayo and nice sesame buns. Although most of the sandwiches were good, the lack of difference with any of the other sandwiches on the menu created confusion. I, along with many other people, couldn’t justify paying any extra money for a fancy bun and some mayonnaise. Check out a really dumb commercial for it here. Also in this line was the McLean Deluxe. A “healthy” alternative to the regular burgers (it had fewer calories and fat than the regular burgers). The way Mickey D did it included adding fake meat to their hamburger mix. Not sure how much “healthier” that is. I, consequently, never ate it. How about some regional sandwiches that you may not have ever heard about? These can be ordered today somewhere in the world. 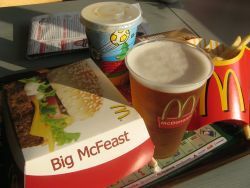 France/Belgium Mcdonalds have the Croque McDo. It’s McDonalds take on the classic sandwich, Croque-monsieur. Steph and I had a Croque-monsieur when we visited France earlier this year. It’s a fried cheese sandwich with either ham or chicken on it. Very good. 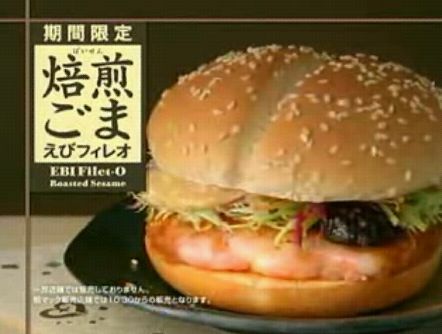 Mcdonalds version has 2 slices of cheese and ham toasted on a hamburger bun. The McLobster sandwich is an interesting animal. It’s really like a seafood salad sandwich with bits of lobster instead of whitefish. You can find this up north in Maine (along with other Northeast states). I think it looks pretty good, I’d like to try it but, what do I know, I tried Garlic Seafood Pringles. 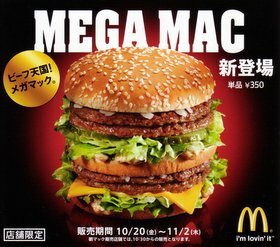 Japan’s Mega Mac is a double Big Mac. Yes, in case you weren’t incontinent enough, it has 4 Mcpatties on it…..and the children cried. Japan also has the Tamago Double Mac which includes two beef patties special sauce, bacon and a fried egg. Yes, a fried egg. It’s like the Egg McMuffin and the Big Mac got drunk one night and got biz-ay (if you know what I mean). How do those Japanese stay so thin? My heart is seizing just reading about some of these. Japan puts fish and shrimp in everything. They have the Shrimp Burger (picture shown), shrimp nuggets and a fish/shrimp sauce for dipping. Yikes. McShoarma is a flat-bread turkey delicacy found only in Israeli McDonalds restaurants. Not crazy in and of itself, however the commercial for it is a classic. It’s a re-creation of the “Royale with Cheese” scene in Pulp Fiction. Worried about what to drink to wash down some of the above culinary insanities? If you are in Europe, order cups of beer. Nothing like getting completely bombed to work up the courage to try a burger made of pre-processed shrimp meat. Want to see some awesome McDonald’s commercials from the ’80s and ’90s? 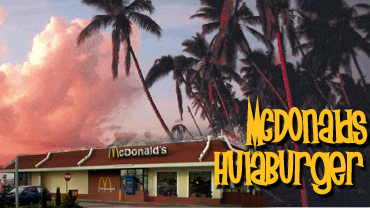 Check out my look back at vintage McD’s commercials here. This entry was posted on August 21, 2007 at 5:18 pm and is filed under food, humor, McDonald's, pop culture, reviews with tags fast food, McDonald's, pop culture. You can follow any responses to this entry through the RSS 2.0 feed. You can leave a response, or trackback from your own site. I gained weight just reading about all that greasiness! I think I need to go for a run now. When I worked at McDonalds my senior year of high school (and the summer before it started) I was really glad my classes were so spaced out across the campus. I’m just now getting to where I can eat McDonalds again (well I didn’t work with breakfast so that was never tainted at least). My favorite was the MDP (named after Michael Dean Perry, the Fridge’s little brother, when he played for the Browns) which was a Big Mac with three patties and bacon. However, I was pretty stupid and didn’t realize it was only offered in Cleveland. So, on a drive to Pittsburgh, I asked for one, and the clerk looked at me like I was quite possibly the dumbest person on the planet. You really have never felt low, until you have received that particular look from either a counterman at a McDonalds or a 2 year old. i worked at a macdonalds in the chicago area when we made the macjordans. it was actually a quarter pound patty. and squirt of mustard, a squirt of bbq sauce (the container read MacChicken BBQ sauce, even though our MacChickens had lettuce and mayo on it and not this sauce.) onions, and bacon. there were no onion rings on it. I am a student from All Saints Catholic School and Technology College and I am going to produce a 5 A Day presentation for my I.C.T coursework. Please may I be granted permission to use your picture in my presentation? Please reply soon. Man …..i could go for a McDLT right now !! That was the apex of clown burgers. Never had the McDLT, but do I ever miss the Arch Deluxe. That was good, especially with that bacon they put on it. And it wasn’t simply mayo applied, but more of a special sauce… or at least, a special mayo. Loved it, though. I wish they’d bring that back now and again as they do the McRib. Hopefully I get to try the Shrimp Burger someday. And the McLobster. 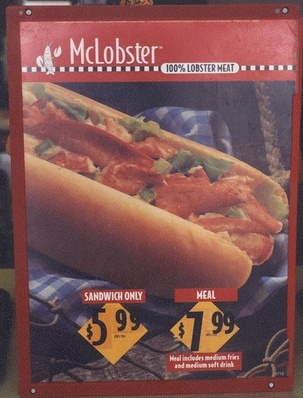 I too would like to try the McLobster. Empresa no ramo de instalação de cerca eletricaem todo Brasil…. 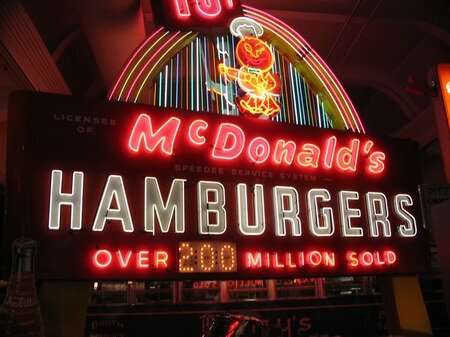 McDonalds Sandwich Hall of Fame | Cavalcade of Awesome”. Will you care if I actuallywork with several of your own tips? I do remember the McJordan Deluxe having bacon on it too. of nnew stuff right here! Best of luck for the following! team is significantly impacting the environment. Quiet Time: It is not necessary to step into your office and become involved in the first task on hand immediately. At Maispace, we also know that, in the office cubicle systems, floor plan is everything. match, they beat Qatar, New Zealand and Russia in successie games, in the qualifiers.